The absolute most important part of the Nutrition Facts table is to note the serving size. Manufacturers often strategically choose the serving size to make the rest of the table look good. Small serving = small calories/fat/carbs. So, it's tricky. For example, I remember getting a salad with the dressing packet. I poured the whole packet on my salad thinking it was one serving. Then, I looked at the label and noticed one packet was TWO servings! So I ate double the amount of calories, carbs, fat and sugar that were listed on the label. Let’s use an example - plain, unsalted walnuts from Costco. NOTE: I personally don’t pay attention to the %DV because who knows who developed these guidelines. Oftentimes, the guidelines we’re given end up being incorrect. For example, we used to be told to limit our fat. Now we know that the ‘low fat/non fat’ craze was a major factor in the spike in rates of all diseases. Also, the RDA (recommended daily amount) of Vitamin C is 60mg which is just enough to prevent scurvy, but we really need much much more Vitamin C. I wrote more about that here. Calories are pretty straight forward. Here, a ¼ cup (30 g) of walnuts has 200 calories. We’ve been told for a long time that we need to be counting calories to maintain, or lose weight. I always advise my clients that calories are NOT the most important part of the nutrition label. Fat is bolded for a reason. That 19 g of fat (29% DV) is total fat. That includes the non-bolded items underneath it. Here, 19 g of total fat includes 1.5 g saturated fat, (19 g - 1.5 g = 17.5 g) unsaturated fat, and 0 g trans fat. Cholesterol, sodium, and potassium are all measured in mg. Ideally, aim for around 100% of potassium and sodium each day. It's easy to overdo sodium, especially if you grab pre-made, restaurant foods, or snacks. Keep an eye on this number if sodium can be a problem for you (e.g. if your doctor mentioned it, if you have high blood pressure or kidney problems, etc.). The ONE thing I always suggest to really pay attention to and count is the Sugar. The RDA of sugar for kids is 11g (keep in mind that ‘kids’ covers a big age range so adjust accordingly), 24g for women and 36g for men. Sugar hides in our food, which I wrote all about here. Manufacturers can add other vitamins and minerals to the bottom of their Nutrition Facts table (this is optional). And you'll notice that some foods contain a lot more vitamins and minerals than others do. The issue with the vitamins and minerals in packaged food is that, for the most part, they’re synthetic. We really want to get vitamins and minerals from whole foods because our body doesn’t know what to do with fake vitamins and minerals. 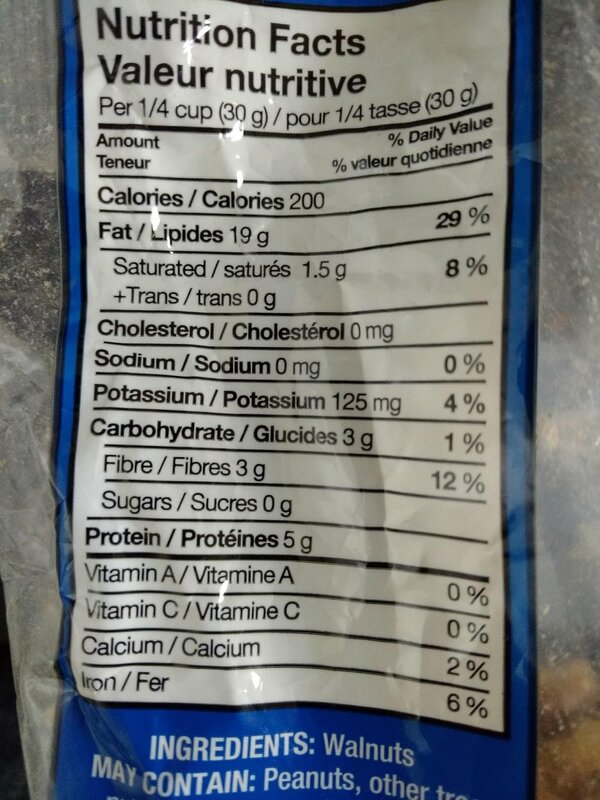 I wrote another post here that goes into more detail about the new nutrition labels and I get more specific about the calories, sugar, and vitamins sections. I'd love it if you would share your favorite image below!